In the period since our founding in 1993 we have created significant value for ourselves as investors, for our co-investors and for our management partners. Our private equity portfolio has achieved positive returns throughout our history. We have exited prior investments though sales to strategic and private equity buyers. Our initial involvement was in a niche auto parts manufacturer – a two year investment in which the initial investment returned 14 times its principle. The key drivers of value in this extraordinary transaction were a proprietary, relationship-driven purchase resulting in an attractive purchase price, creative financing with appropriate leverage, an opportunistic add-on acquisition in which synergy value was optimized, and a timely liquidity event with significant multiple expansion. We also enjoyed success in our investment in publicly-traded Vector Aerospace, an OEM-licensed helicopter and small propulsion aviation engine maintenance, repair and overhaul (MRO) provider. 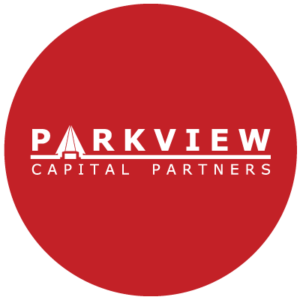 Parkview related entities had a significant equity ownership position, and participated as management. Our Founder, Don Jackson, held the position of Chairman, President and CEO at various points in our nine year association with the Company and was Chairman of the Company and of the Special Committee through sale to EADS. Parkview’s Partners became involved in the Vector situation in 2003 when a group of supportive institutional shareholders backed Don Jackson in a Proxy solicitation and changed the Board and management. At this time the public market value of Vector was $35 million and the Company faced the threat of insolvency. Vector sold in July 2012 to EADS for $645MM. The key drivers in value creation at Vector included financial restructuring, operational restructuring, growth through the acquisition of OEM licenses, the attractive purchase of the UK Ministry of Defense’s helicopter maintenance and repair operations, and the unlocking of a value inhibiter in the shareholding of the Company.